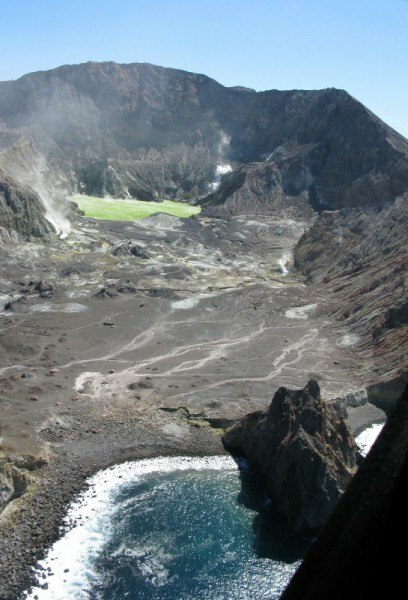 50kms off the coast of New Zealand in the Bay of Plenty exists a living, breathing, steaming, venting, bubbling, heaving entity called White Island: New Zealand’s most active volcanic site. To walk on its shores gives you a true feeling for the earth’s power, and a humbling sense of mortality to go with it. I was lucky enough to be one of those mortals. Volcanic Air Safaris was our host for the afternoon, and after our helicopter briefing (and removing one of the doors so our cameraman could shoot – footage, not bullets – out the ensuing gaping hole in the side of the helicopter), we were lifting off. 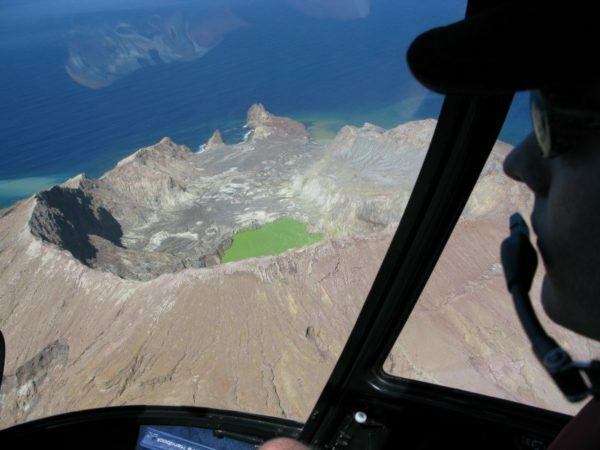 Riding in a helicopter is an amazing experience unto itself. The almost noise-canceling headsets do wonders for saving eardrums and enabling conversation, and as soon as the props are rotating, lifting off seems so natural. It’s like the helicopter is a light as a feather, and not the few thousand pounds it really is.